Anybody looking for online business looks for Google traffic as it sends the majority of traffic to the website and followed by Bing/yahoo and referral sites like Facebook, twitter etc. Here are the 5 other search engines, your audience may be looking for information. Do not take charge only on Google. 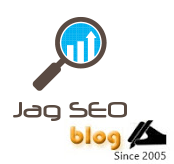 It is recommended for small & large business to focus on the below search engine too. Again these are based on your global business. You need to study where your audience exists and then target accordingly. Optimize your site for user’s experience and not for search engines alone. Build quality backlinks and not quantity backlinks. Write unique content and with all these factors stay at the forefront of your competitors.